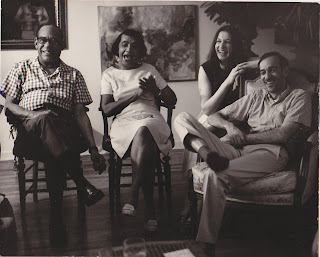 Photograph with, left to right, Rudolfo Gonzales, Marian Anderson, Ruth Rosekrans Hoffman, and Bob Hoffman. Ruth met Bob at a jazz concert. Photo by famed jazz photographer Jack Bradley, used here by kind permission of Jack Bradley. 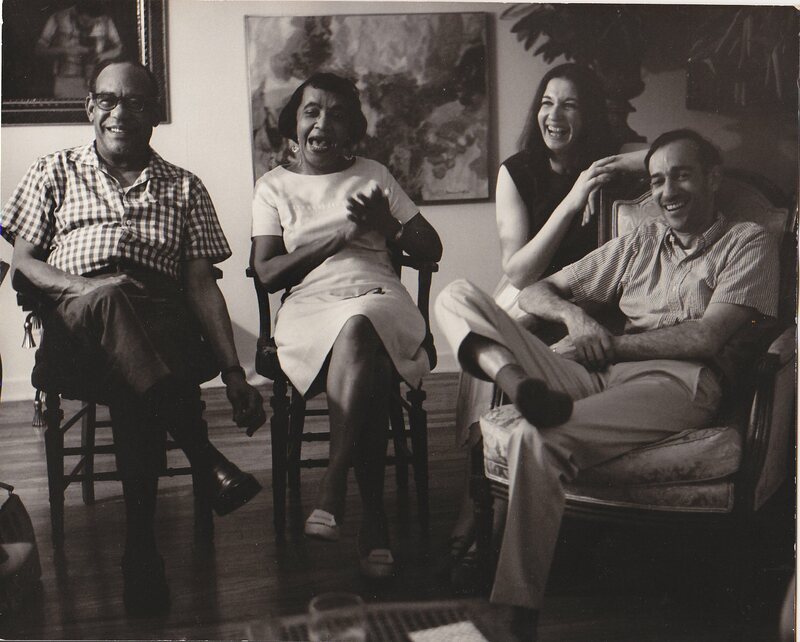 Bradley recalls that "both Ruth and Bob were dear friends." All rights reserved, reproduction by written permission only, Jack Bradley, 24 Skipper's Drive, Harwich, MA 02645. Rosekrans Hoffman took her father’s independence and his love of byways to heart. Cosmopolitan as she became, after leaving Nebraska to pursue her artistic career in New York, when she found her artistic path pointing back along the roads of her childhood, she followed it. At first, she had painted, very successfully, in the style of the day. Her abstract impressionist paintings were shown at the Whitney Museum and in other famed collections. 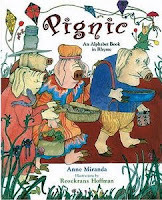 She changed direction in the 1970s as she began to illustrate children's books. Soon an agent suggested she write such a book herself. 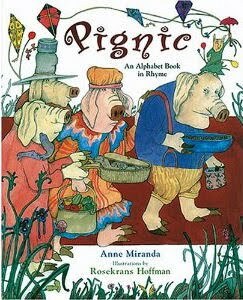 Anna Banana (New York: Borzoi Books, Alfred A. Knopf, 1975) settled Rosekrans Hoffman in a unique and successful career as an artist who wrote children’s books and provided artwork for children’s books by many other writers. She was always careful to say that she was an artist and not an illustrator. To her, this meant that the integrity of her artistic vision came first. When she spoke to friends and interviewers, it was always apparent that Rosekrans Hoffman had unusually intense memories of her own childhood. She remembered the fine red dust that blew up from Oklahoma in the early 1930s, coming in through unsealed windows so thickly that was hard to breath indoors, so that her mother would put wet towels over Ruth and her brother’s heads to filter the air. The fortitude, ingenuity, and teamwork required for a family to survive the Great Depression years seemed to draw families and neighbors together. For a child, all unaware of her parents’ worries, those years could make for wonderful, and unusually intense (by contrast with the experience of later, more materialistic generations) childhood memories. She had been drawing since she was three or four years old, but in her long confinement in bed, she began to draw all the time. She began by copying the comic strip, “Tillie the Toiler,’ and others from the newspaper. “Good things can happen from really bad things, although you may not know it at the time,” she told a Connecticut interviewer. Her illness put her on the path to becoming an artist. She would go on to get a fine arts degree from the University of Nebraska. Ruth never spent much time looking at other artists' and authors' childrens books. When she illustrated books for other writers, she favored the publishers’ usual practice of keeping the author and the artist separate until the book launch party. Her art drew on her own vision of reality, “if there is one thing I concentrate on,” she told an interviewer, “it’s expression—it never seems to lie… there is a facial expression and then there is the whole body as expression…“ Children, she noticed, “learn expression before words.” She never had children of her own, but seemed to draw from a deep well of her own childhood, on the muted colors of small town Nebraska in the 1930s, and on the quirky and independent spirit that sustained rural people in those years of trial. The new display in the Heritage Room on the third floor of Bennett Martin Public Library includes selections from the original artwork (all in the Heritage Room) for Go To Bed: A Book of Bedtime Poems, Selected by Lee Bennett Hopkins, Illustrated by Rosekrans Hoffman. (New York: Alfred A Knopf, 1979), following through the various stages of book art production through to the color proofs. The display also includes other books, sketches and cards sent to friends, and, as part of our permanent display, two of her dolls. The display draws on the Heritage Room's files of Rosekrans Hoffman's correspondence and on artwork she donated to the Heritage Room. From the 1970s on, Rosekrans Hoffman donated posters and drawings to the Heritage Room for our fund-raising purposes. Rosekrans Hoffman on her father, remarks made July 28, 1983 at a celebration of the artist's work in the State Capitol Rotunda, Rosekrans Hoffman Manuscript in Heritage Room (corrected and signed by the author), "Hoffman, Rosekrans, Capitol Celebration 7-23-83." Patty Beutler, “Rosekrans Hoffman, Native Nebraskan Draws on ‘Peculiar’ Perspective,” in Nebraska Library Association Quarterly, Vol. 12, No. 4 pp. 15-19. Beutler interviewed the author and artist about her unusual perspective and observed the connections between her childhood and her artwork noted here, especially regarding her choice of palette. The most extensive published sketch of Rosekrans Hoffman (the name she used professionally) is Sue Williams, “Ruth Rosekrans Hoffman, A Renowned Lancaster County Artist,” in Tales and Trails Newsletter from Denton, NE and surrounding areas, Vol. 3, No. 3, June 2001, pp. 1-5. Quotations from Ted Kooser are from “Remarks for Ruth Rosekrans Hoffman’s memorial service, December 2, 2007.” (Kooser MS in Ruth Rosekrans Hoffman vertical file, Heritage Room). “I concentrate… on expression,” in Nora Fitzgerald, “Child’s World,” Connecticut Magazine, Vol. 52, No. 12, December, 1989, p. 115.